That’s a suitable house, indeed. I was going to put Duff into one of those switching tower structures. But a loyal reader, one Karen W., gave me the idea of a caboose home. Perfect for Duff on account he’s always getting his caboose kicked. Thank Karen! 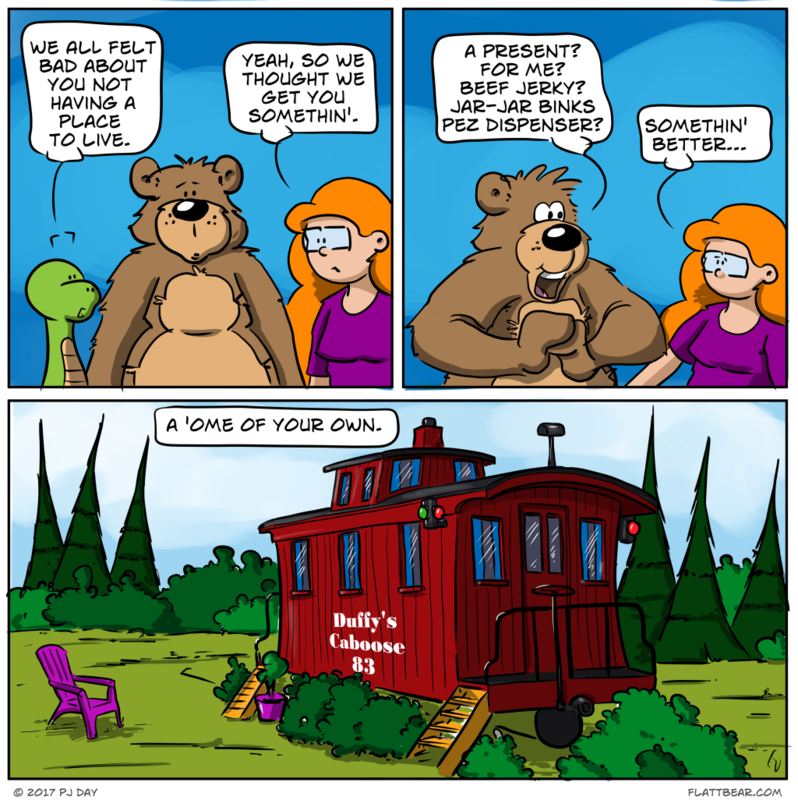 A fitting home for a bear, better than a cave, the only thing I want to know is what happen to the moose named Dave. That moose. That flighty moose. Caboose! Maybe now he won’t set the inn on fire…. Also, Caboose! That’s a sweet little setup, P.J. I can see him on a nice summer nice, sitting in the adirondack chair, sipping a honey-based drink and chowing on some grub quiche. You gave him a lovely home. Yes. I think he’ll be quite happy there indeed. Great idea! 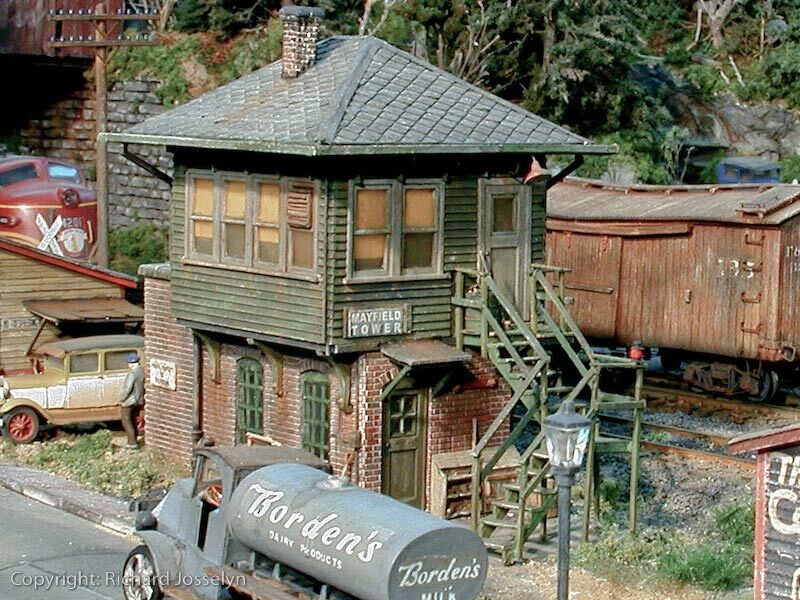 There’s a hotel near me that is made up of about 40 real cabooses. You can stay in a caboose. Yeah. I think it’s probably a 50-50.